If you’re familiar with digital marketing, you probably already know that conversion rate optimization is crucial for the success of any online business. At the same time, you may be unsure exactly what kind of results CRO can deliver. That’s why I’ve compiled a list of 22 of the best conversion rate optimization case studies for you to take inspiration from. Protalus, a brand that manufactures an insole for correcting misalignment, was able to increase their direct sales by 91% within just six months’ time with the help of CRO and one-click upsells. They made changes such as giving an option to upgrade to expedited shipping for free in the headline and adding celebrity testimonials. They also switched to a long-form page, which in itself resulted in a 58% lift in conversions. While video has been known to increase conversions for many businesses, the opposite happened in the case of GoSection8. Their original website design had a video above the fold, explaining the benefits of going premium. The Invesp team worked on removing the video and then replacing it with a bulleted list of the benefits along with a CTA button. 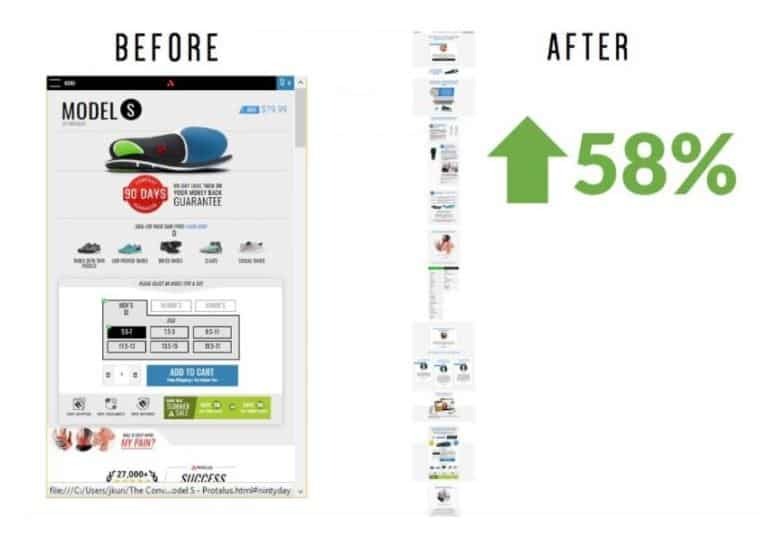 This change resulted in an 88.46% increase in conversions. 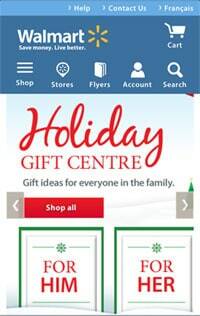 After noticing a significant amount of traffic coming from tablets, Walmart Canada decided to take on a tablet-first approach to build a responsive design. They also prioritized on page load time to enhance customer experience, executing Agile development to test performance at every sprint. They were able to improve their page performance by 35%. The responsive design resulted in a 20% increase in conversions and a 98% increase in mobile orders. RuneScape, a popular fantasy MMORPG, was able to use heat maps to identify opportunities for improvement and increase their conversions. 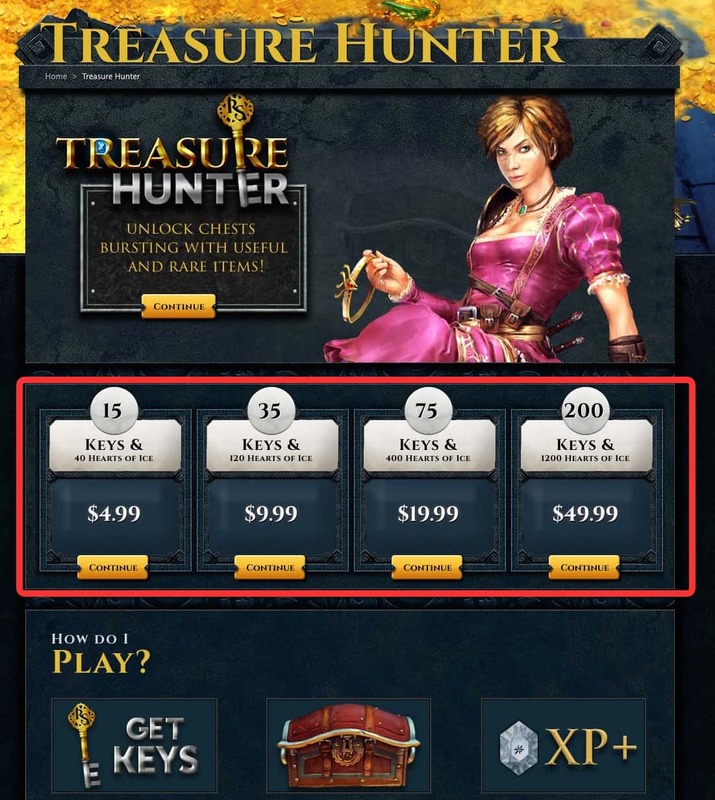 Their CRO efforts focused on the Treasure Hunter page on their site, which allows users to buy keys for unlocking treasure chests. Based on their observation, they realized that people were looking for more information before they completed their purchase. So they developed a variation of the page, which displayed the four treasure chest packages they offer. This variation saw an increase in the number of purchases by nearly 10%. 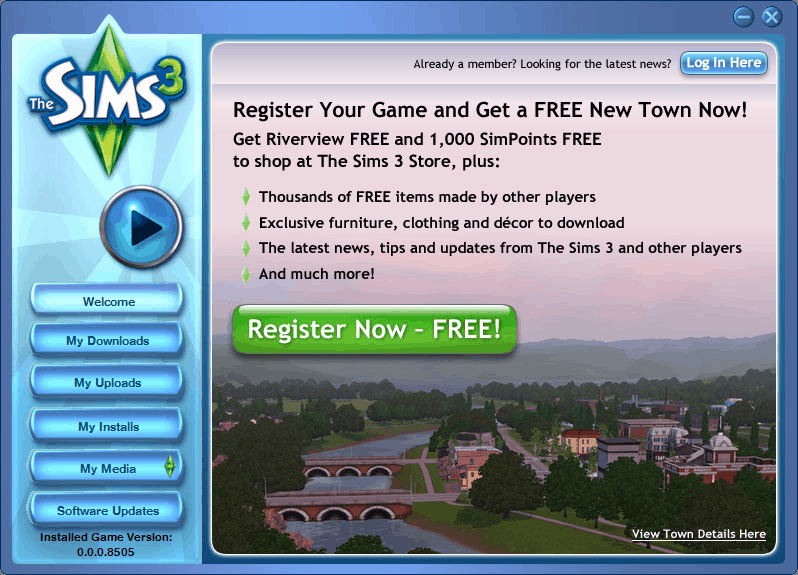 The Sims is a computer game franchisee and The Sims 3 is an updated version of the original game. Their key challenge was to get more people to register their accounts for the game. 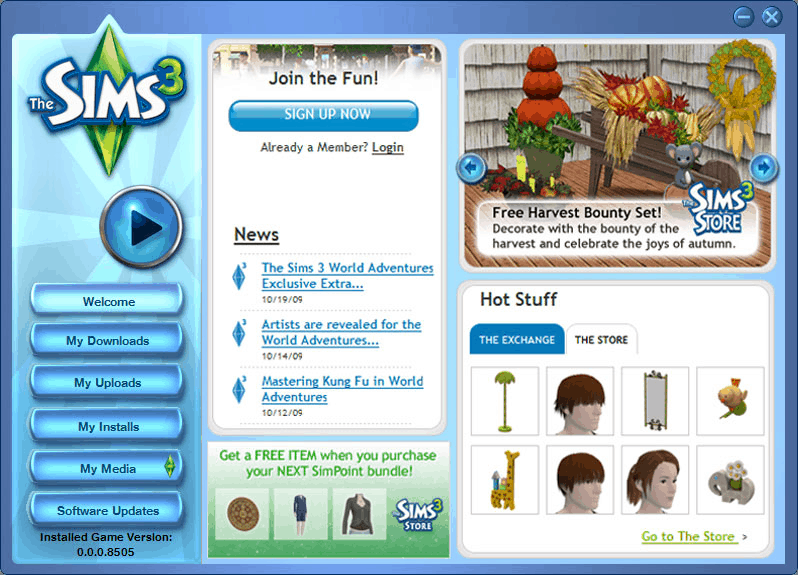 They collaborated with WiderFunnel and tested six variations of the game launcher. One of the variations was successful and achieved a 128% increase in registrations. They emphasized on the word “FREE” several times and made it clear that there were no registration costs involved. This drastically increased the number of registrations. 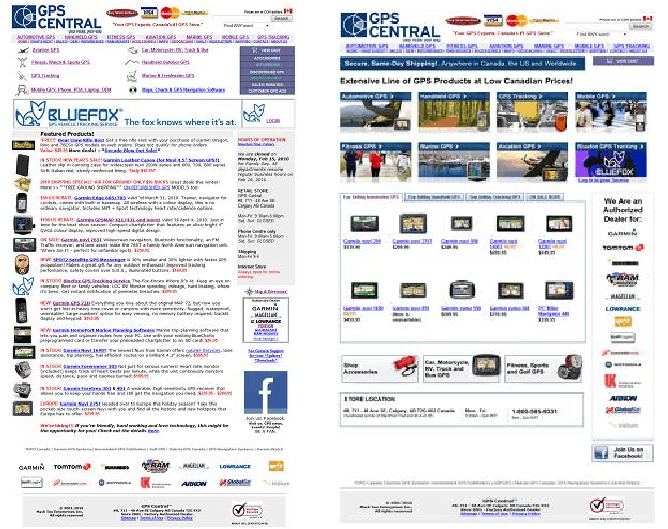 GPS Central, a retailer of GPS solutions, increased their conversion rate optimization by revamping their homepage. They moved away from a text-heavy format to a more visual format. They added several images and tabs to make the page navigation easier and led to a revenue increase of 15%. 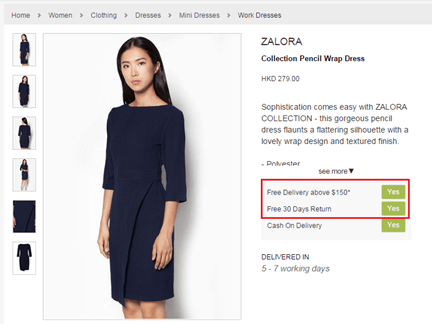 For ZALORA, their conversion rate optimization efforts were based on feedback from their customer service team. They came to realize that a lot of customers were unaware of the company’s free return policy. So they decided to shift the word “Free” from the right to the left, where it’s prominently visible. This variation improved the number of checkouts by 12.3%. 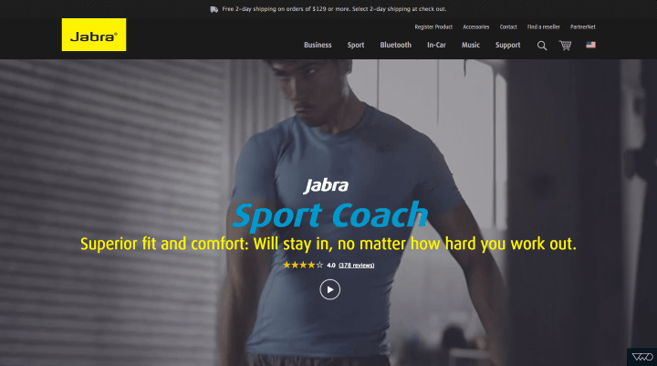 Renowned headphone and speaker company, Jabra worked with Tsunami Click to correct the high drop-off rate of visitors in their product page. The team conducted a survey and found that the main concern for potential customers was the fit and comfort level of the products. So they changed the copy on their main banner to address these concerns. They also added a new section in which they displayed user reviews talking about the earphones’ comfortable fit. These changes were able to increase the brand’s sales by 76.92%. 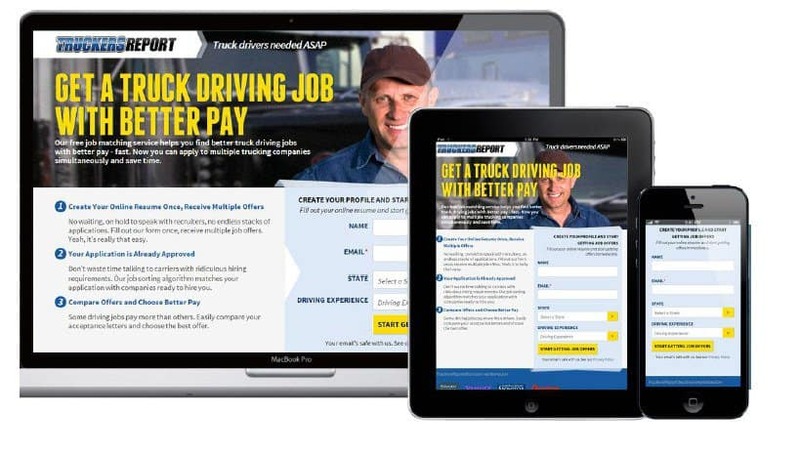 ConversionXL helped Truckers Report to isolate user issues and make changes to their website layout to improve conversions. Rather than making a dramatic change to the layout, they made a few crucial changes. This includes making the headline more prominent so it’s at the top of the visual hierarchy and including an explanatory paragraph just below the headline. They also opted for larger background images with warm, smiling people. Since the left side of the screen tends to get more attention, they kept the copy on the left. In addition to these changes, they also re-designed the steps involved in their funnel. As a result of all these changes, there was a 79.3% increase in landing page conversions. Home renovation products’ company, BuildDirect’s, site redesign and CRO strategies yielded a $1 million sales boost in one month. They conducted several tests like voice-of-customer research, controlled testing, and expert heuristic analysis to improve their conversion rate. They redesigned their website using these insights and achieved higher conversion rates on multiple pages. 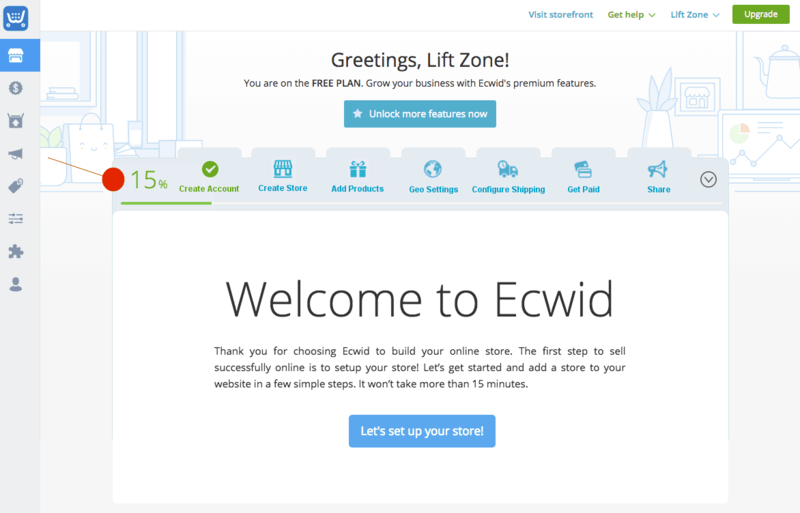 Ecwid, an SaaS company dealing in simple online store setup and management, wanted to increase the rate of initial free plan sign-ups. They also wanted to see more people upgrading to their paid plan. WiderFunnel worked with them to optimize their website according to the LIFT model. The team wanted to create a smoother on-boarding process and enhance the initial user experience. They optimized how the progress bar was initially weighted. 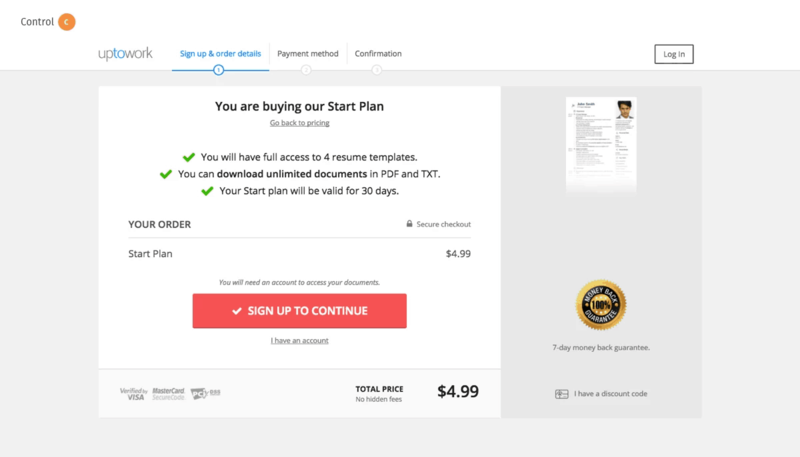 Previously, users had completed 0% of the steps after completing the initial sign up. But with the new progress indicator, users were shown as having completed 15% of the steps after they were done with the first step. As a result of this change, the rate of successful paid account upgrades increased by 21.3% among English-speaking users. Ecommerce site, Trailcam, ran a series of CRO tests to increase sales. 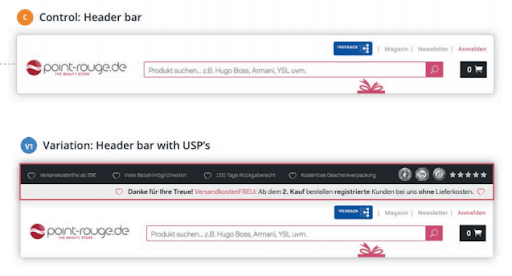 The company saw maximum benefit when they tested adding a free shipping and returns banner at the top of their homepage. This immediately alleviated customer queries and concerns leading to higher sales conversions. Removing these and some other hurdles in the buying process immediately boosted sales by 20%. 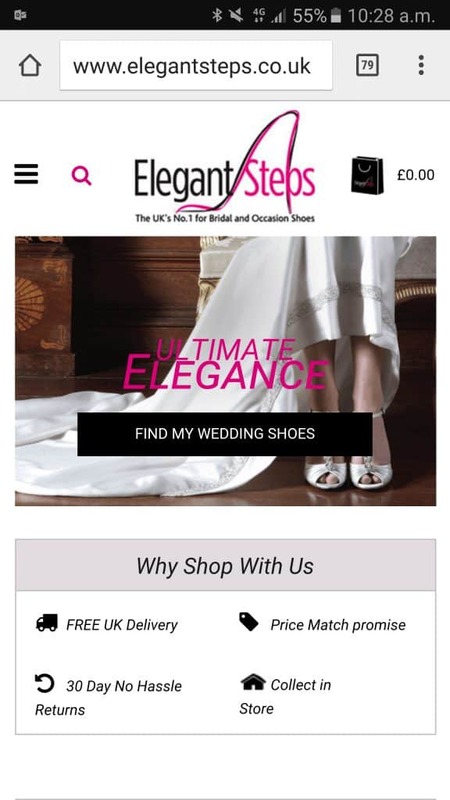 Elegant Steps, a UK-based retailer of wedding shoes, discovered that their mobile website only had a conversion rate of 0.6% while their desktop site was converting at 2%. They decided to make some changes according to insights from heatmap, scrollmap, Google Analytics, and heuristic analysis. They moved the option to shop by brand higher up on the webpage so that the presence of established brand names can instill trust. They also displayed the free shipping message above the fold. In addition to this, they changed the text color on their background image to improve readability. And they rewrote their CTA copy to be more possessive. They ran a test on this variation only for mobile visitors and the results were impressive. Not only did their bounce rate decrease by almost 50%, their conversion rate also increased nearly threefold. FluidGrowers, a business dealing in eco-friendly food solutions, found that people were adding products to their shopping cart but failing to complete their purchase. With the help of Tsunami Click, they found that the reason for this high cart abandonment rate is unclear shipping charges. 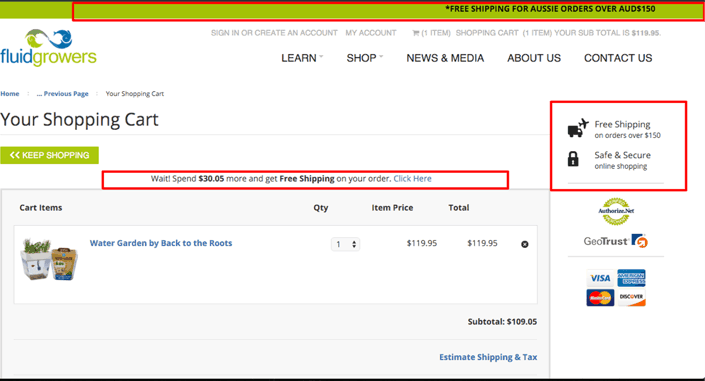 So they decided to add a dynamic message on the cart page, showcasing how much more shoppers need to spend on to get free shipping. As a result, they were also able to clearly see the total shipping charges. This increased the average sale to a customer by 39%. BONIA, an international luxury brand, was experiencing conversion issues because of too many calls to action. These CTAs were highly distracting to the visitors and prevented them from taking the desired action. After making necessary changes to this, they were able to experience a 218% increase in conversions. There was also a 7.8% increase in the revenues generated per visitor. They collaborated with Klickkonzept to analyze their website viewer data and gather insights using Google Analytics data. They identified abandoned carts and high bounce rate as the key challenges. They suggested highlighting the company’s USPs and designed and tested several variations. They changed the header bar to include USPs and improved CRO. This small change increased their conversion rate by 7.12% and revenue by 19.24%. PayPoint partnered with ConversionWorks to optimize their website and improve the rate of online conversions. Through Google Analytics, they found that the checkout page was where they were losing the most potential sales. So they decided to plug the leak by improving the flow of their online application form. These changes resulted in a 159% increase in conversion rate. Adjustamatic Beds Limited was experiencing high levels of traffic through their paid search efforts. But they were not satisfied with the number of sales leads generated. Click Consult helped them run a thorough analytics review and perform usability tests. They segmented conversion rates based on device, behavior, and demographics as well. From a single test, they increased their conversion rate by 20%. And the CRO tests helped facilitate an overall conversion rate increase of 70%. Crazy Egg was experiencing some trouble getting their message across to their website visitors. They noticed that people would click the back button within a few seconds of landing on the page. And many visitors weren’t even taking the time to go through the text content. So they decided to introduce an animated explainer video that will quickly and effectively relay their message. 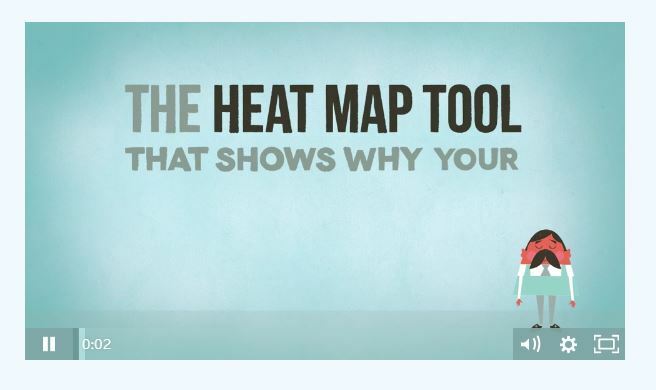 After including this explainer video on their landing page, they experienced a 64% increase in conversion rates. Uptowork is a career site that was struggling with the issue of cart abandonment. They identified the lack of visitor trust in the website as a key reason for this. 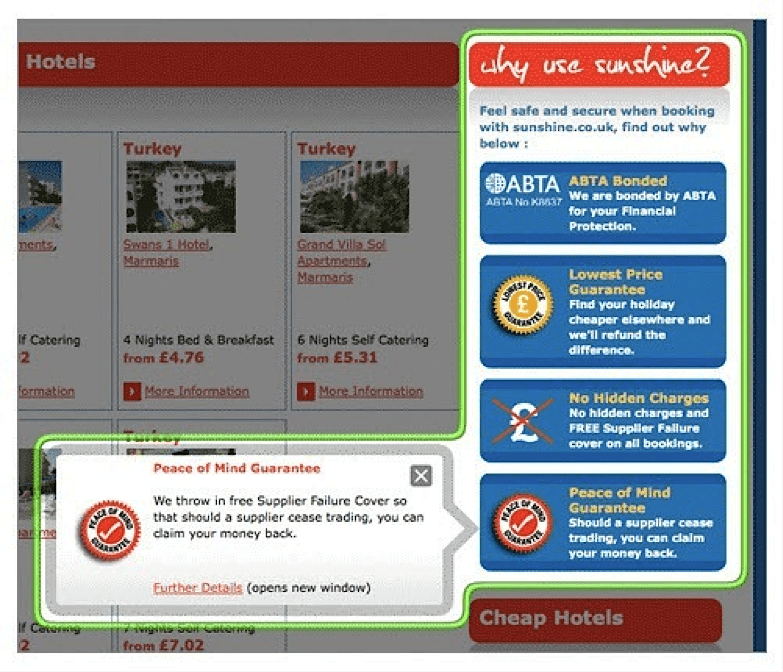 As a solution, they redesigned their cart page and added a McAfee trust badge to assure customers that the site is secure. 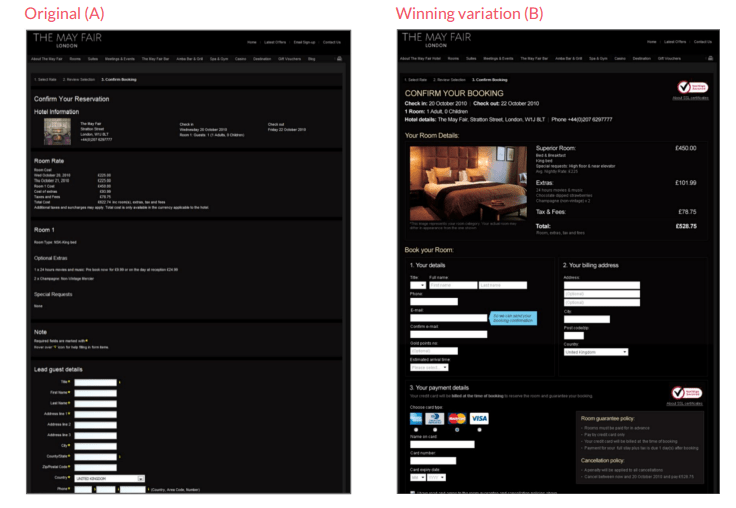 They then conducted a month-long A/B test to measure the impact. The testing showed that adding the security badge reduced cart abandonments and increased the conversion rate by 1.27%. The company optimized their checkout page and reservation system for conversion rate optimization. They partnered with ConversionWorks for website analytics and usability testing. They made several changes to the payment page and checked its impact. They made the page more visually appealing and simple. This resulted in an increase of 7.5% in the conversion rate. ComScore discovered that there was a low rate of lead generation coming from their software product pages. So they tested several variations in which they experimented with how they display their customer testimonial. The winning variation was one that displayed customer testimonial next to the product description and also included customer logo. It increased the number of leads generated by 69%. All these case studies prove how crucial it is for businesses to prioritize user experience to achieve conversion rate optimization. There’s a common theme among many of these Conversion Rate Optimization case studies—that mobile experience is vital for driving higher conversions. There’s also an increasing need to optimize copy in such a way that it’s value-oriented and actionable. 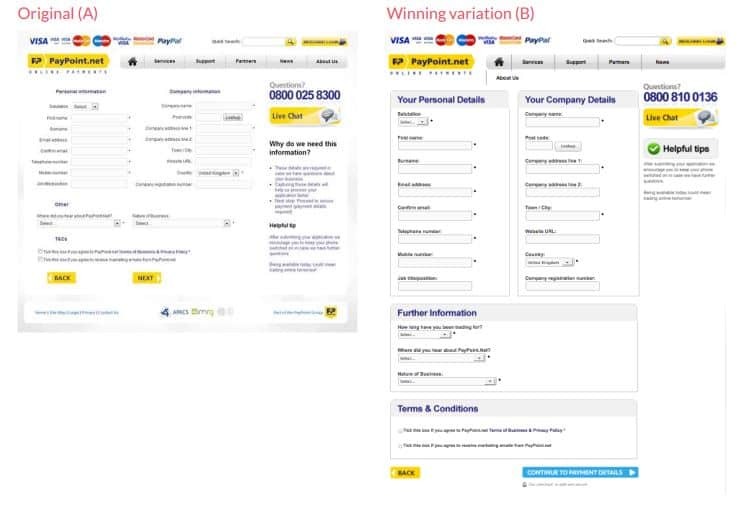 Wondering how you can achieve outstanding CRO results like similar to these conversion rate optimization case studies? Get in touch with me for a full analysis and optimization of your website for higher conversions. Wow, a lot of work was put into this post and it had some very interesting results. Great work Shane.